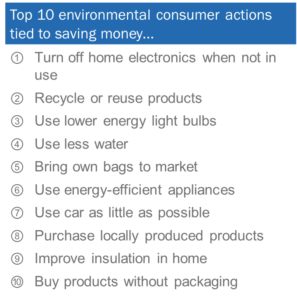 Consumer research has confirmed what the traditional and new media outlets have debated, people want to use their purchasing power to help clean up the environment. It is incumbent upon industry to create products that allow people to exercise that power for good. Take a look. There are far fewer SUV’s on the road. They have been replaced small cars and hybrids. There is a recycling program in nearly every municipality across the country. People are carrying reusable shopping bags and purchasing their own reusable water bottles. 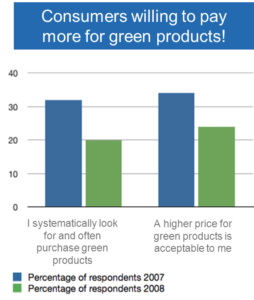 The more consumer products we can produce that make a positive impact on the environment, the more opportunities we provide for people to feel good about themselves and make choices that can preserve the planet. My Blue Earth is an easy, inexpensive and immediate way to save water and power and it will pay for itself with savings in water and sewage bills in about six to eight weeks. All we have to do is let people know. So make a difference and tell a friend.